Here we are in the first day of a new year. Twenty-eighteen was rough for a lot of people, and I think we’re all hoping for a happy, healthy, rewarding twenty-nineteen. 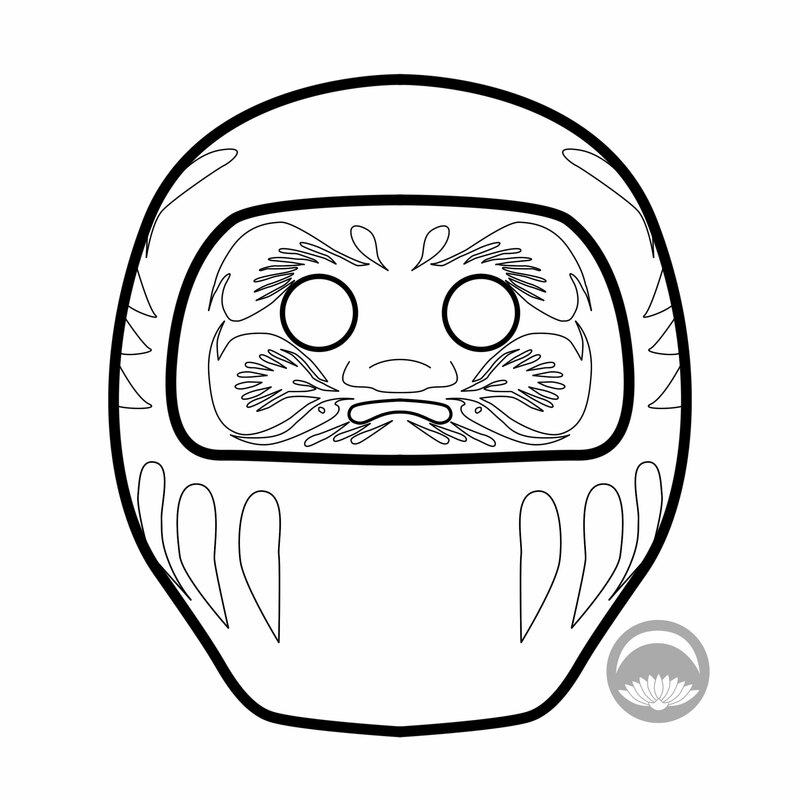 To start the year with focus and intention, I’ve created this Daruma colouring page. 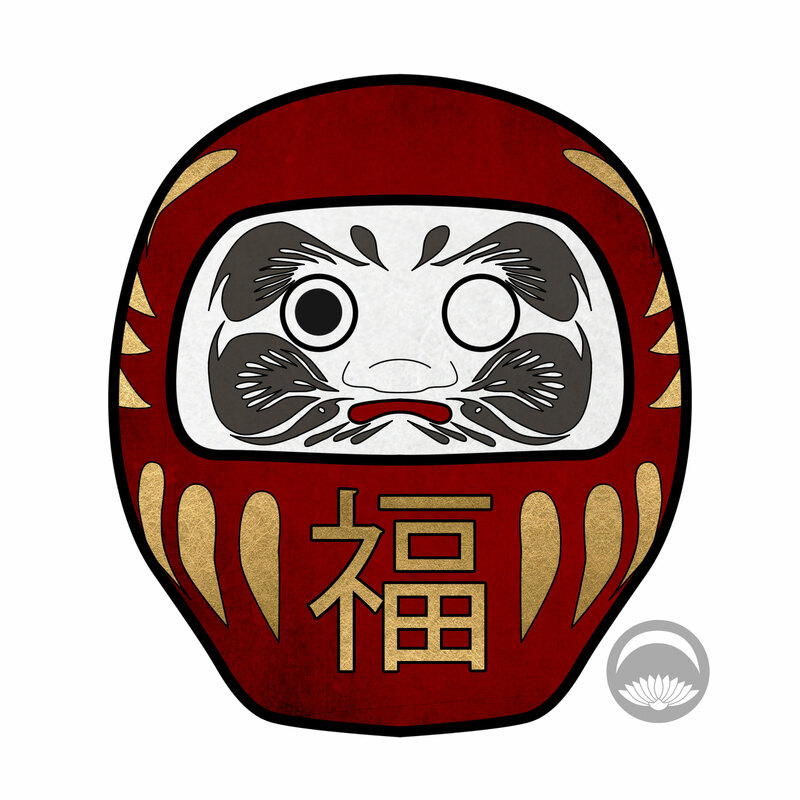 Daruma are traditional representations of a monk named Bodhidharma. 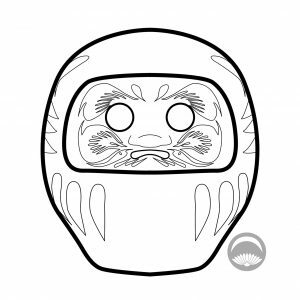 When you purchase one, usually from a temple, there are no eyes painted on it. When you set a goal or wish for yourself, you paint in the first eye. When you’ve accomplished it, you can paint in the second eye. 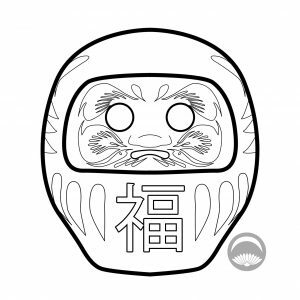 Daruma can be painted in many different colours, based on your goals, but red is the most traditional and versatile, There are often characters painted on the front, again varying depending on your goal, but like the red colour, 福 (fuku, good fortune) is the most common. 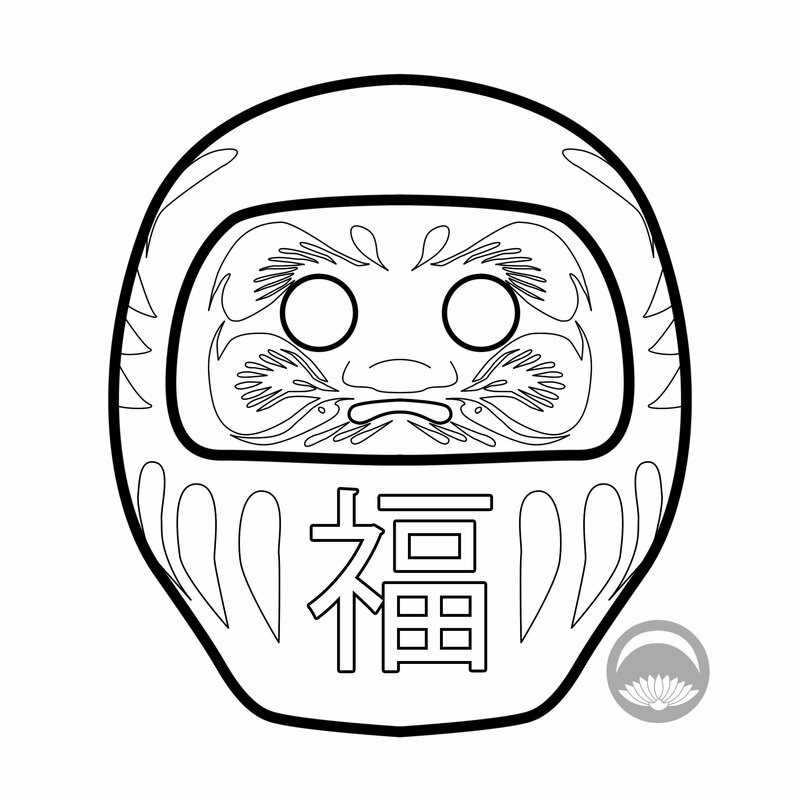 Here’s my daruma. I have set a few goals and dreams for myself this year. I’m no good with resolutions, but maybe this will encourage me to focus better. If and when I manage to accomplish any of them I will complete it and share again! Here are a couple of blank versions, with and without kanji, for you to colour. Feel free to colour it digitally like I did or print it out and use more traditional methods. If you colour it in, I would love to see! And I wish you all the best for this upcoming new year.